Gemma Chan has confirmed that two sequels to Crazy Rich Asians will be filmed in succession and the shoot will commence next year, reports Indian Express. 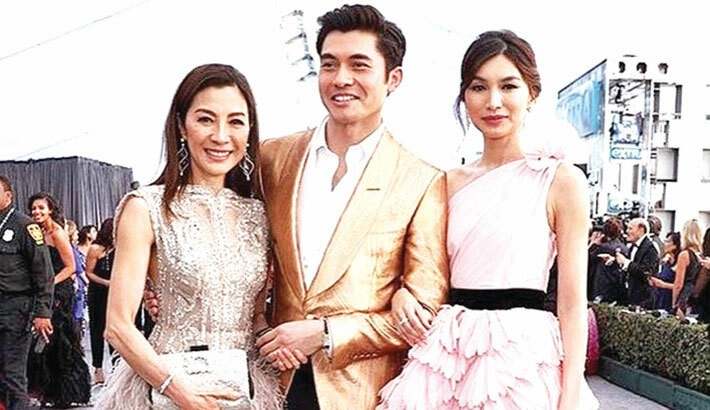 The actor shot to international fame with her performance as the independent, sophisticated Astrid in the hit 2018 rom-com with an all-Asian cast. Last year, film producers Nina Jacobson and Brad Simpson said John Chu is set to return as director. The script is currently being worked on by Adele Lim and Peter Chiarelli. Actors Jude Law and Gemma Chan, who star in new superhero movie "Captain Marvel," reveal the lengths they had to go to in order to keep the film's secrets secret. Chan was speaking on the sidelines of Captain Marvel premiere, in which she plays Kree sniper and StarForce member Min-Nerva.